ChicExecs Secures Stomp Rocket on Popsugar! Our latest feature is for our client Stomp Rocket on Popsugar.com! 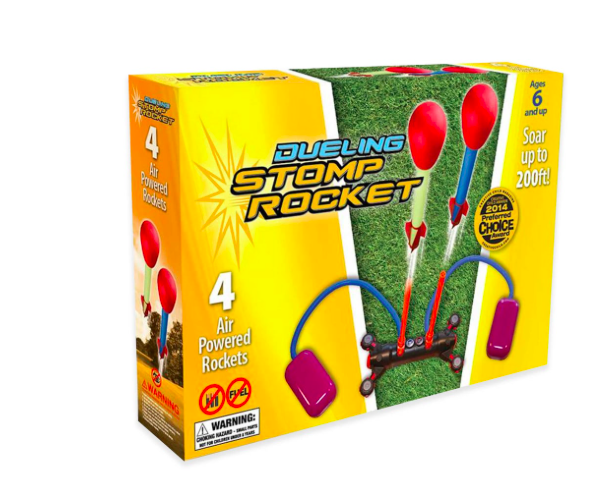 Kids get to literally launch into hours of fun with this fun Stomp Rocket Dueling Rocket Kit that lets them launch colored rockets up to 200 feet into the air. Check out Stomp Rocket for a new way to entertain your kids.